After you master the basics of creating a two-light system for a more natural look in the studio, perhaps you’d like to try getting more creative with your photographic style. 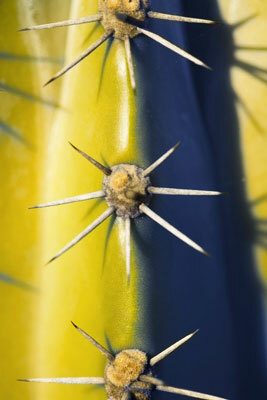 Doing so can benefit macro and close-up photography by drawing viewers in with more interesting and surreal concepts. Adding a third light source to your setup is one way to accomplish more creative lighting. Use the third light to form a rim light on your subject in order to help separate it from the background. This photograph shows what this scene looks like when photographed with the fill light alone, with a key light to provide dimensionality and, finally, with a rim light to add interest and help separate the subject from its background. Another way to be creative with light is to introduce color. You can produce various effects by covering studio lights with gels of various colors. Use an orange gel on your key light to simulate sunset tones, for example, or put a red gel on your key light to produce a more moody, surreal look. Using multiple lights with varying colored gels can create effects that grab the attention of viewers. This photograph shows this technique in action. The contrast in colors provides more visual stimulation than this particular scene would normally offer. Use a ring flash creatively by positioning it extremely close to your subjects. Light falls off in brightness as it travels through a scene and spreads out. Therefore, it affects closer objects more significantly than farther objects. The closer a light source is to a subject, the quicker it falls off, meaning the elements behind your subject become darker (or less exposed). This effect can help create the illusion of depth, or three-dimensionality. 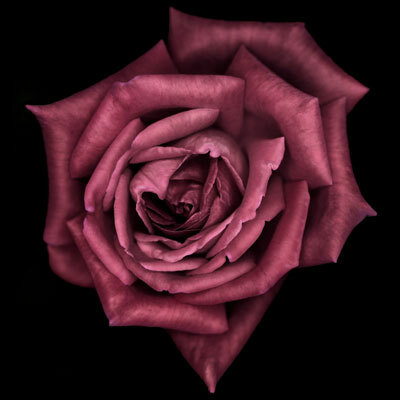 Take a look at the photograph of the rose; note how the rose petals closest to the camera appear the brightest and how the petals become darker as they grow farther in distance from the camera. The background appears very dark in this image because of the light falling off based on the distance relationship from light to rose to background.